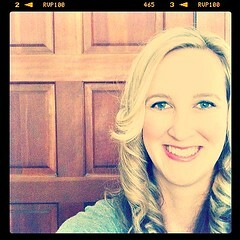 I joined the OCMQG today and they have a meeting tonight! 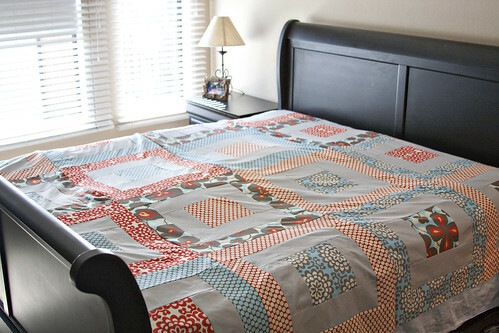 My Amy Butler quilt for my Cal King Bed. I am still trying to find someone who has a long arm quilter to quilt this for me. 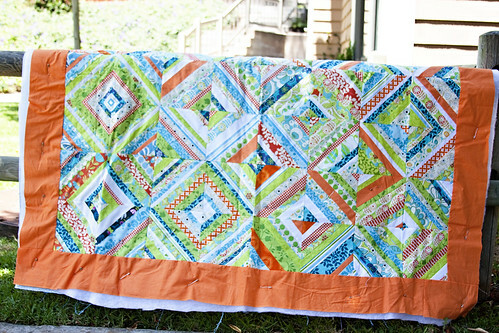 My Sew Connected 3 quilting bee quilt that I have all pieced together with a large orange dot border that is all basted and ready to quilt. I just haven't got around to quilting it yet. This is only half of the quilt, the other half is over the fence. Or take one of my completed quilts? Here is pictures of them all in my flickr set. I vote for the Amy Butler quilt - maybe you'll find a connection to a fabulous long arm quilter at the meeting! 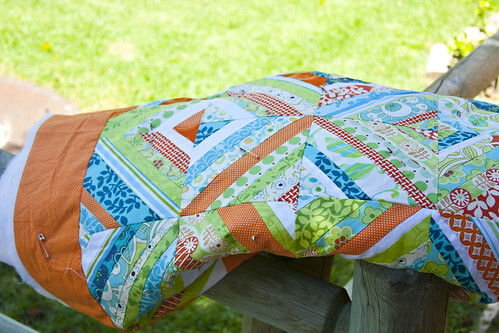 I absolutely love the quilt with the orange border, beautiful! all your quilts are so fabulous! I love your star quilt!